Call us crazy, but whenever we visit a new place we always find ourselves asking, Could we live here? It's fun, we think, to try to imagine life as a local, not a tourist, even if we might never actually do that. 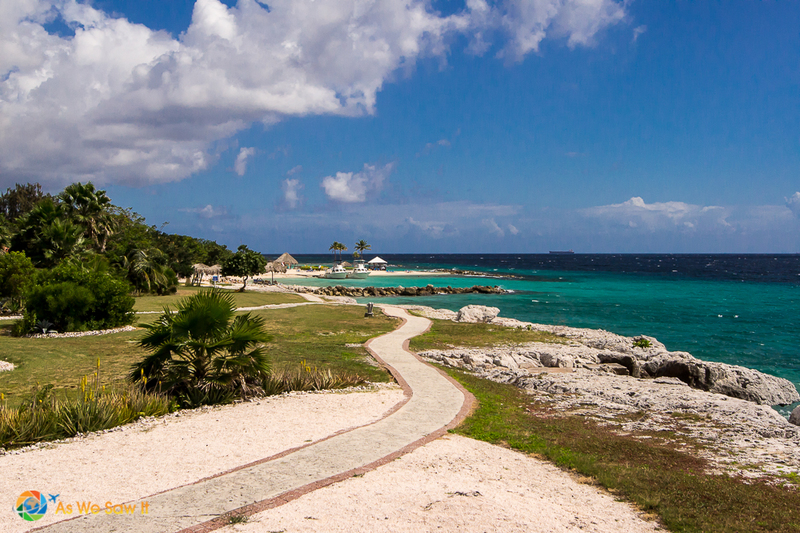 So, after a weekend in the country, here were our initial impressions of Curacao. Could we live here? Could you? Maybe it was a fluke, but our positive impressions of Curacao were helped by the fact that we didn't encounter a single surly person while we were there. Everyone was kind and friendly. Every. Single. One. 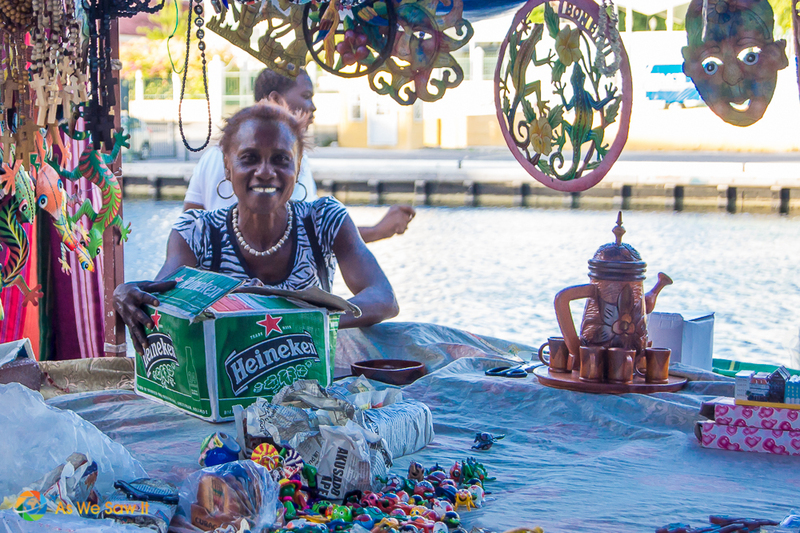 Their accent is easy to understand and their love for Curacao showed in their eagerness to help us enjoy our stay. Further, they are obviously a very well educated people. (Even our taxi drivers spoke 4 languages!) The country has 3 national languages, Dutch, English, and Papiamentu, and Spanish is also common, as Curacao is not far from Venezuela. We were totally amazed by the ease with which everyone switched from one language to another. Foreign visitors should check any We're #1 arrogance at the airport. If you travel to Curacao with the expectation that you will enjoy a tropical rainforest, you'll be sorely disappointed. This has been called “a tropical island without weather forecasts” and most of what you'll see will be cacti and other plants suitable for xeriscaping. When I learned that Curacao gets only about 570 mm (22 inches) of rain a year, this little fact totally devastated my long-held assumption that all Caribbean islands are lush, tropical gardens. The upside of this is that you'll have sunny, clear skies every day. Translated, this means there will be plenty of opportunities to work on your tan and enjoy Curacao's many beautiful white sand beaches. ,Another thing is this Caribbean island lies outside of the “hurricane belt,” so no worries there, either! 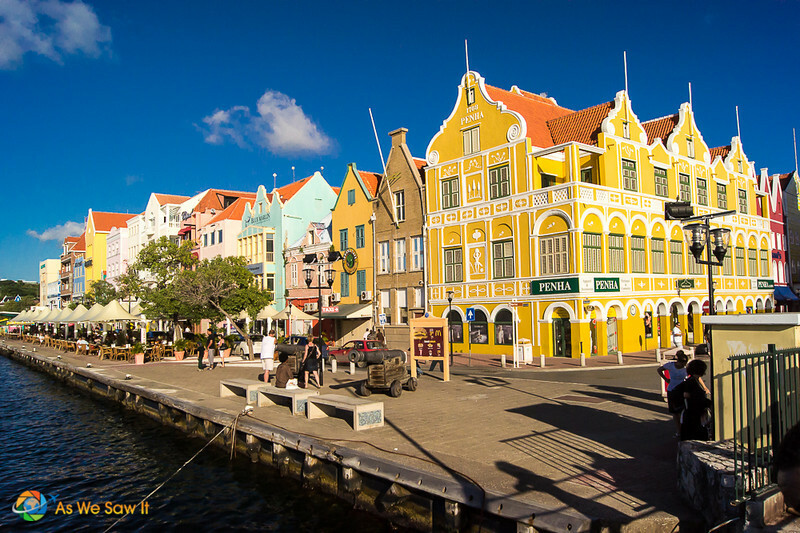 If you're a photographer, Willemstad won't disappoint with so many distinctive bridges, many-hued historical buildings and cobbled pedestrian streets. Its people are just as colorful as its buildings. While there's never a shortage of interesting sights in the capital, it can be fun to sit at a waterfront bar with a cocktail while watching the sunset, or riding Queen Emma Pontoon Bridge as she opens and closes for the ships that pass her way. Judging from our short snorkeling experience around the hotel, the SCUBA diving in that clear azure water must be as spectacular as the brochures promise. The Caribbean waters around Curacao are crystal clear. 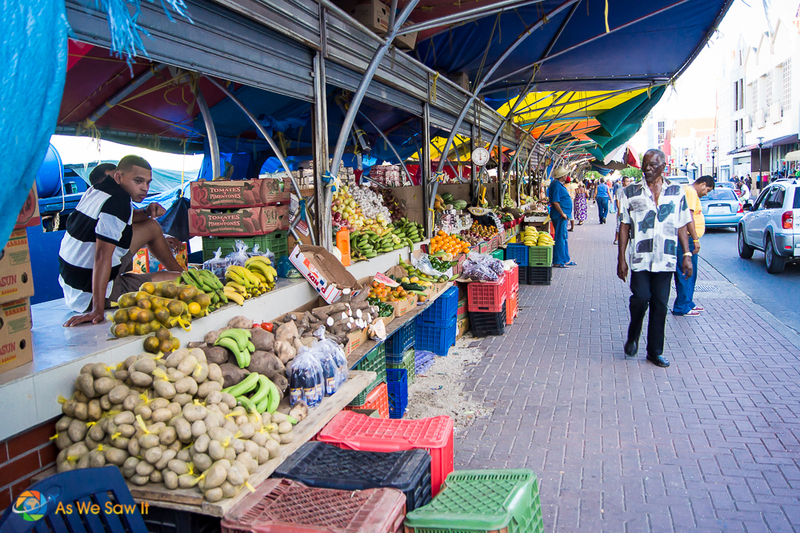 We found a wide variety of goods in both local markets and supermarkets, though many items are imported and pricey. That said, as an island nation, seafood lovers might wonder if they had landed in heaven. Non-fish lovers will be happy to know that we found plenty of cuisines to choose from, both spicy and not. And there is no shortage of tropical fruits! The people are incredibly friendly. Hearing them switch easily from one language to another. Snorkeling in the clear water and seeing all the tropical fish. The prices, because so much is imported. The country has to rely on desalinization for its water supply. Being sick for half of my time there. Is Curacao worth a return visit? Yes. Most definitely. Actually, it is one of the most romantic places we have been to so far, and we've not had a chance to see more than Willemstad. Based on what we learned in the guidebooks ([easyazon_link identifier=”1540786196″ locale=”US” tag=”awsi09-20″]we like this one[/easyazon_link]), the country deserves a week or two of attention, at the least. 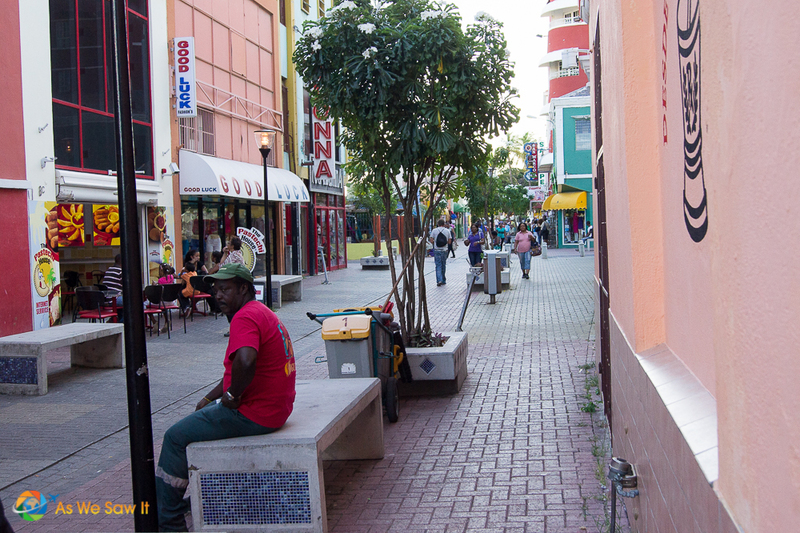 Would we live in Curacao? 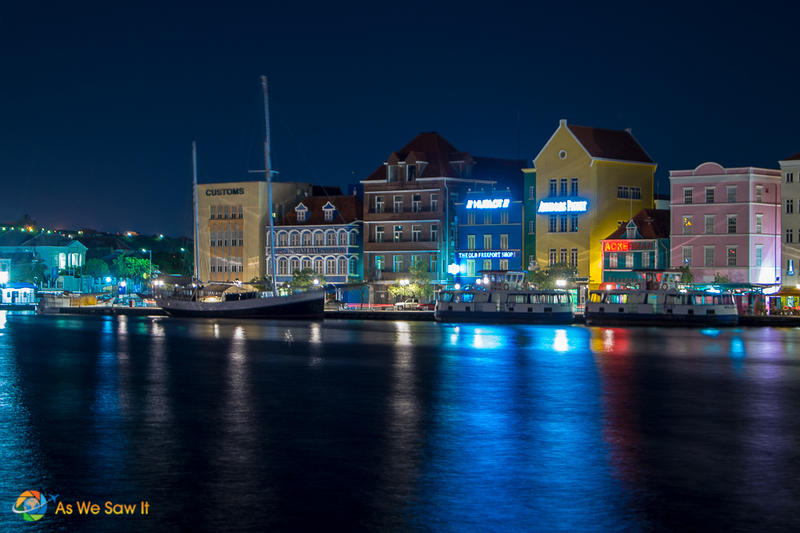 We might consider living in Curacao for a short while, but we'd live in or near Willemstad because we like cities best. It's a small island, with a small population that relies on tourism. Plus, there's a lot to do outside of the capital city that doesn't require spending money or eating. But long-term? Not for us. On our livability scale of 0 to 5, we'd give it a 3. If this article was useful, you can thank us without paying a dime by using these links to make your plans. Some of these companies will pay us a referral fee, at no extra cost to you. 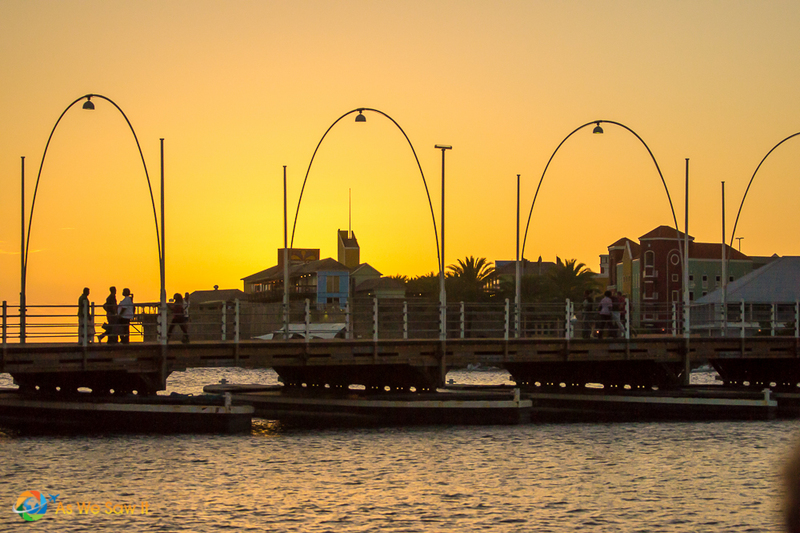 Find lots of helpful information about living in Curacao on com. Lodging: For sleeping options, we recommend using HotelsCombined. From resorts to hostels to apartments, they compile the best deals from all over the web, including Booking, Expedia, Agoda, and more. Transportation:– This website shows how to get anywhere by plane, train, bus, ferry and car. 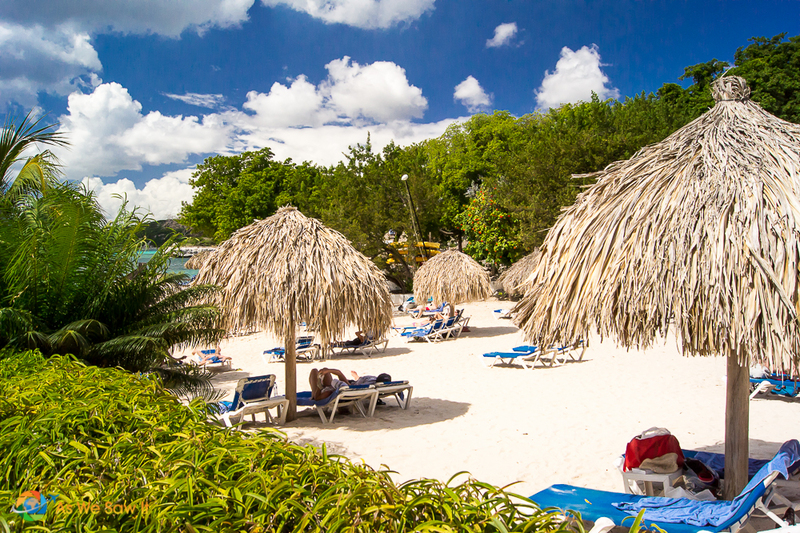 Get Your Guide offers lots of affordable, custom activities and tours in Curacao. Click here to see them all. 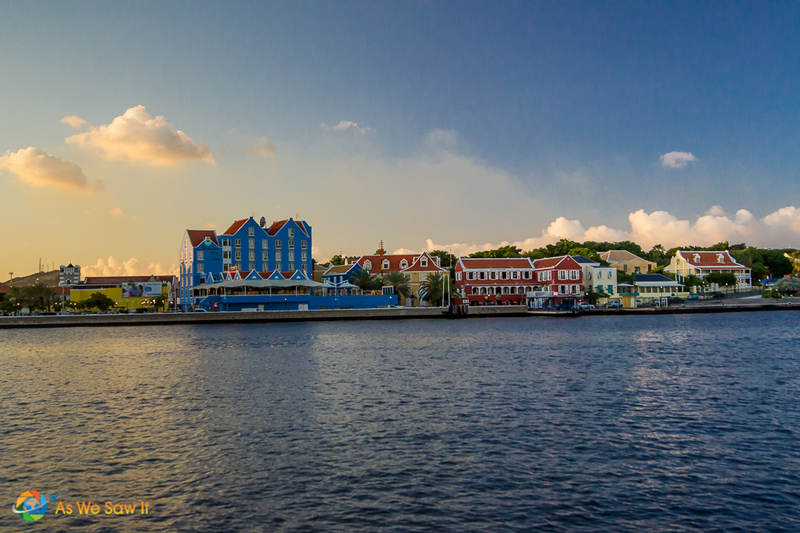 For more sightseeing, see our Willemstad photo gallery. Google Maps offers an aerial view of Curacao. Zoom, scroll around and explore! Sounds like a beyond awesome place for a short term stay Linda. Beautiful people, so kind, smart as whips too; I am still working on mastering English LOL. Same deal on long term though. I love creature comforts and yep, some hefty convenience worked into different cultures. I think that’s why I love the villages outside of Chiang Mai so much. You can live like a Thai in a sleepy village for however long you want, then a 5 minute motorbike ride away you have movies, malls, anything you could want. Yep, Curacao sounds great for short term. Not long term for us, though. Like you, we tend to choose our apartments and countries based on the proximity to creature comforts. Bonus points if restaurants are within walking distance. We’re glad you enjoyed it. Love this post! We have been to Curacao 2,5 years ago. My husband had a job interview there, so we also tried to imagine living there. We decided not to do it. In July and August it gets so hot there and the mosquitos are annoying. Also, there is lots of air pollution due to the refinery. Other than that, it is an amazing country for holidays! Well, that’s news to me. I hadn’t realized the country has a problem with air pollution. Fantastic post. The photos are gorgeous and want me to just pack up my stuff and go there for a trip. Would love to bring my scuba gear to take a couple of dives in the water. Thanks for sharing! We would have liked to dive there too. 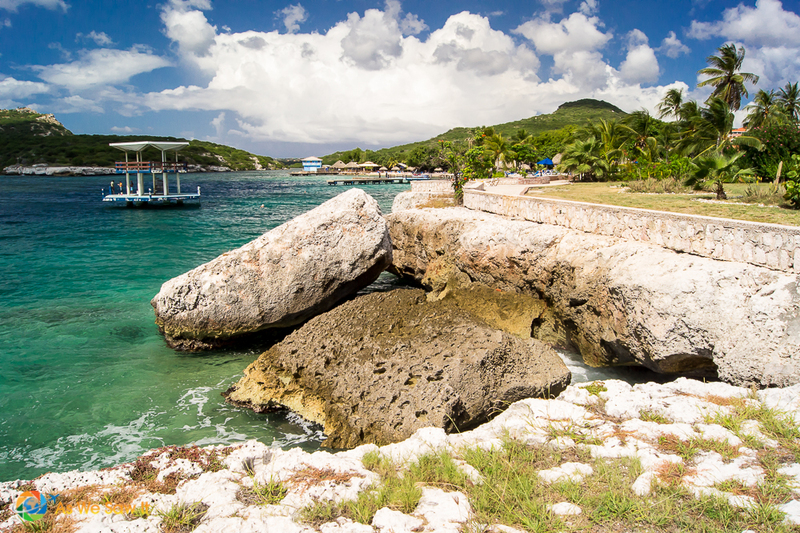 The official Curacao tourism website offers a list of dive sites in Curacao. We’d probably begin with Airplane Wreck. Which one appeals to you the most? I would agree. The Airplane Wreck looks like a great place to start. However, The dive sites that are listed all look awesome. There’s probably not a single site that wouldn’t be worth a visit!